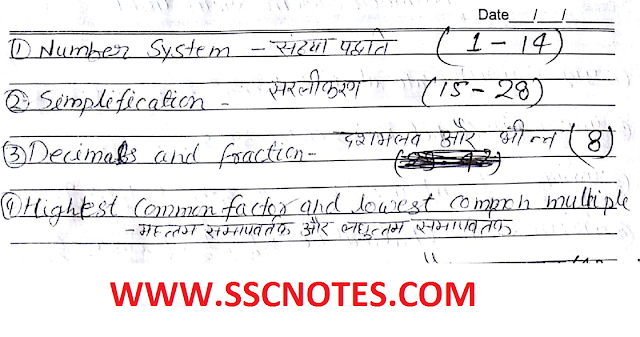 Hello Friends, Today we are sharing with you Handwritten Maths Notes (Complete) PDF in Hindi. Mr. Ashish Chandra has been compiled by this notes of Maths with Examples, which are especially useful for preparing Maths topics, all asked in General Competitions. If you are preparing for any one-day exam, then you can read these notes to understand Maths topic more thoroughly. You may download pdf from the link provided given below.